Yesterday I was in Kalmar for AIK’s first place celebrations. 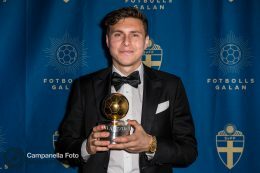 Tonight it was Globen and photographing the Swedish Football Awards. 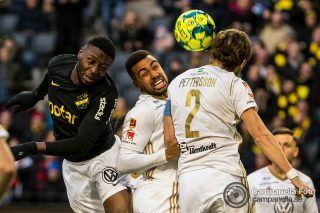 AIK wins 2018 Allsvenskan. I made the trip to Kalmar to cover the final match day of the season and see AIK lift the Lennart Johansson trophy. Last Friday I had the pleasure of going photograph former Man U & Milan player Jesper Blomqvist at his pizzeria 450 Gradi in a Stockholm suburb. Sweden meet Slovakia in a pretty boring international friendly at a half empty Friends Arena. 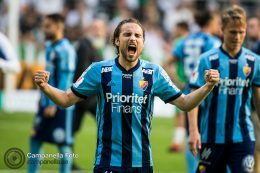 Djurgården came out on top in yesterday’s derby match against Hammarby IF picking up a 3-1 victory. 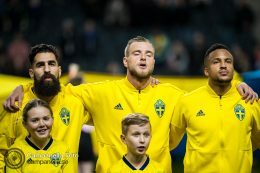 Their first derby victory against Hammarby since 2007. 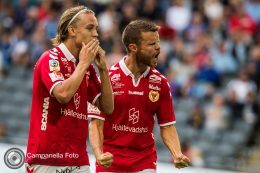 A fantastic match from Rasmus Elm and two goals from Erton Fejzullahu allowed the visitors Kalmar FF to easily pick up three points against Djurgårdens IF. 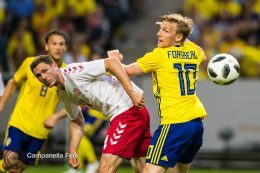 Photographed my last football match before the World Cup this weekend and it was a rather boring match that resulted goalless draw between Sweden and Denmark. 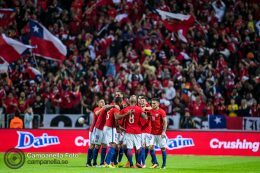 Two pictures and a few words from the international friendly between Sweden and Chile that was held at Friends Arena on March 24th, 2018. 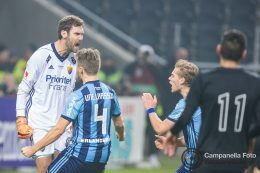 Djurgården finally broke their derby curse! 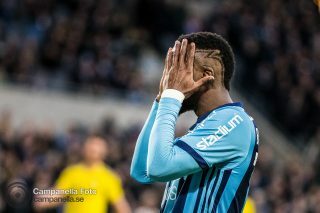 After 2372 days they picked up a well deserved 2-0 victory against AIK in the semi-final of the Swedish Cup.